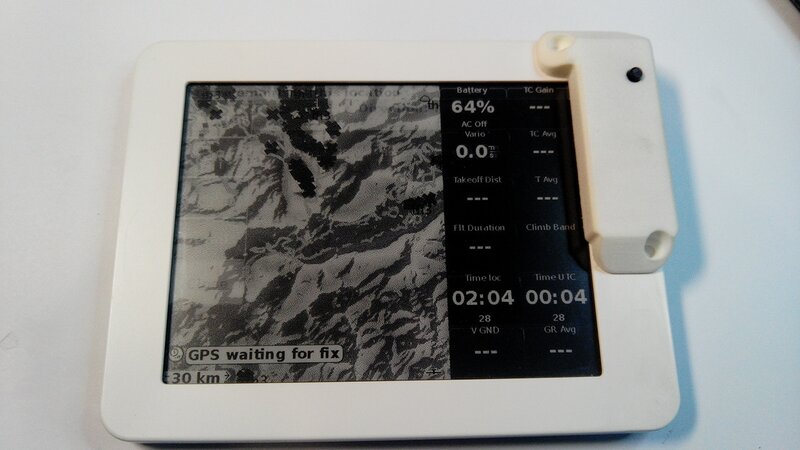 An ambitious Kobo owner has hacked his Kobo Mini and turned it into a GPS-equipped flight computer. And unlike the Kindle bike computer or the Nook flight computer, this Kobo Mini is a self-contained unit with the GPS receiver modded into the case. They hit upon the idea of modding a Kobo Mini so that it could tie into a GPS receiver and run the XCSoar app, but instead of using the Kobo Mini as simply the display (like we've seen with past projects) Tweepy instead decided to integrate the GPS receiver into the ereader, mod the shell to fit the receiver (and a larger battery) and thus have the entire system in one neat case. Tweepy pulled this off by first wiring the GPS receiver into the Kobo Mini's internal serial port and then replacing the stock 1Ah battery with a larger 3.8Ah battery. There isn't nearly enough room for either component in the Kobo Mini, but Tweepy fixed that problem by 3d-printing a " spacer" part for the shell which made the Kobo Mini slightly thicker and added a dongle for the GPS receiver. What was really cool about this project is that Tweepy was able to reassemble the Kobo mini by reattaching the rear shell. 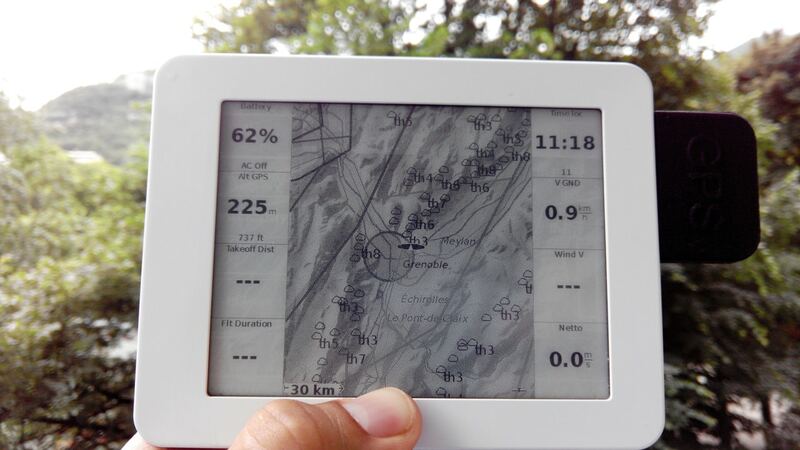 If not for the extension for the GPS receiver, you would hardly know that this ereader had been modded. With new maps, a few software updates, and of course the awesome XCSoar app, Tweepy had a great flight computer for under 100 euros. And if you can get your hands on a Kobo mini, so can you. While researching this post I found all sorts of 3d-printed parts for Kobo ereader. Most were designed to fit the Kobo Mini and add space inside the case for things like sensors, a bigger battery, etc. So it seems that this 5" ereader was popular with hardware hackers, and not just a subset of ebook readers. It's a shame Kobo never followed up on this; they might have missed out on a potential market. Is It Really a Surprise That Indie Bookstores Are Wifi-Free Zones? Very old story. A pity though, that small readers aren’t made anymore and that a small-screen premium reader has not been produced by any of the manufacturers (not counting very old models from the early days of reading devices, which might have been premium models at their time). It’s a couple years old, yes, but the mods were unusual enough that I thought it was worth sharing. I thought it was pretty cool. Talk about your Rube Goldberg brilliance. It’s amazing to think that somebody would sit there and look at a Kobo Mini and think – Yeah, I could steer my glider with this.